How can I view my account's upcoming payments? Note: This action can only be taken by Account Owners or users with "Can view and manage billing settings" permission enabled. Read this article to learn how to give proper permission to other users so they can view your account's upcoming payments if needed. 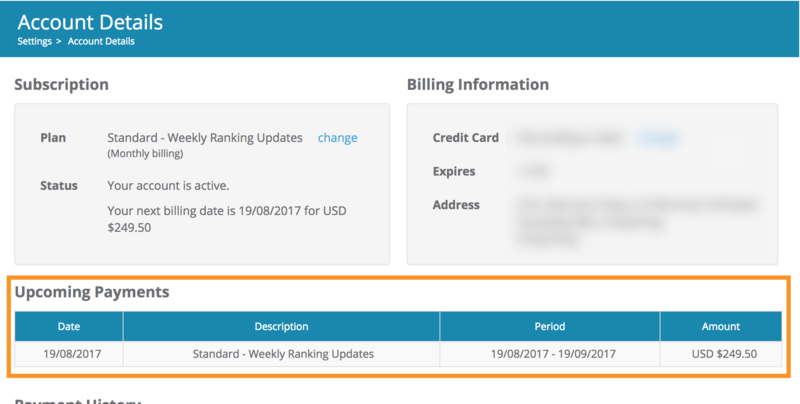 Inside the Account Details page, you will be able see all the upcoming payments displayed under Upcoming Payments section.